Up for sale we have a 1970 Chevy Chevelle Super Sport. 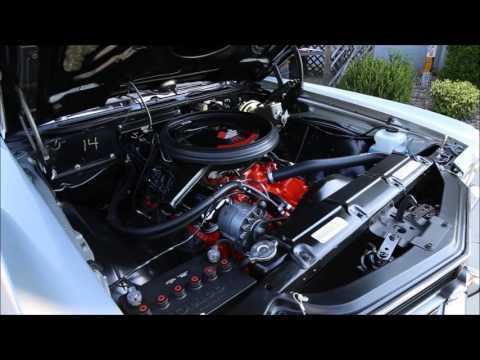 This is a real SS L34 396/350HP Chevelle with GM documentation to prove it. The panel fit is very good and all the panels are straight. It does have the correct cowl induction hood with the flapper. Everything is covered in the Cortez Silver which is the factory color for it. The Silver is accented by the Black SS Stripes that are under the clear and the Black Vinyl Top that is in excellent condition. At the time of the resto new bumpers were installed along with other new chrome. All the weather stripping was replaced along with new window felt. To finish off the look it's sitting on the correct 14x7 Rallys with a set of Firestone Wide oval tires. On the inside it's done in the correct 753 trim code. It's done in the black rivar cloth with the bench seat. Everything looks like new on the inside from the headliner to the carpet. When you look at the dash it all looks like new with the factory round gauges and yes it has the factory tach. This Chevelle is a real pleasure to drive with the Speedo, Tach, Radio, and even the clock being in working condition. Under the hood it's powered by a '70 Model L34 396 350 HP engine that's mated to the matching numbers 400 Turbo Trans and 12 Bolt rear End with 331 gears. The engine is dressed with the correct style valve covers that are chrome along with the correct style air breather that seals to the hood. The exhaust flows through stock manifolds with duals and the GM chrome Tips. When you look under this SS the floors and frame look like new. They installed all the tags on the springs and lines. You'll also notice the paint marks were put on the front end as it would have been in '70. It has all new fuel and brakes lines along with a new fuel tank. As it should this Super Sport comes with Power Steering and Power Brakes with Disc up front.